Do you know what the thought bubble returns? 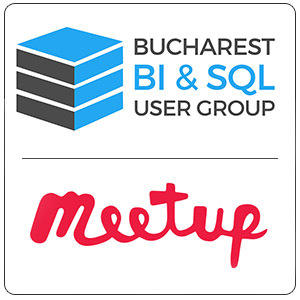 Do you know if the functions from the bubble do even exist in SQL Server? In this article, we will concentrate on some interesting functions related to date and time values that have an offset. 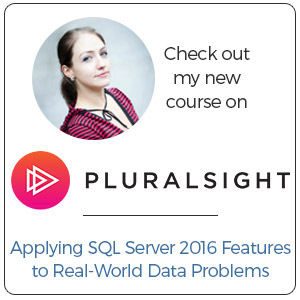 There are many functions in SQL Server which we don’t use on a daily basis and from that reason, we often forget about them. Some of these functions are meant to be forgotten because they are very, very specific, but there are times when they can make our lives a lot easier. The following functions can save us a lot of trouble in some situations. Time zone = a region that observes a uniform standard time for legal, commercial, and social purposes. Time zones tend to follow the boundaries of countries and their subdivisions because it is convenient for areas in close commercial or other communication to keep the same time. Time offset = an amount of time subtracted from or added to UTC to get the current civil time – whether it’s standard time or daylight saving time. UTC offset = the difference in hours and minutes from Coordinated Universal Time (UTC) for a particular place and date. It is generally shown in the format ±[hh]:[mm], ±[hh][mm], or ±[hh]. So if the time being described is one hour ahead of UTC (such as the time in Berlin during the winter), the UTC offset would be “+01:00”, “+0100”, or simply “+01”. [MSDN]: Returns a datetimeoffset value that is changed from the stored time zone offset to a specified new time zone offset. Q: What is interesting about the SWITCHOFFSET offset function? A: When we use it, we see that not only the time offset is changed, but also the hour is switched and presented in the new offset. This is shown is the examples below. 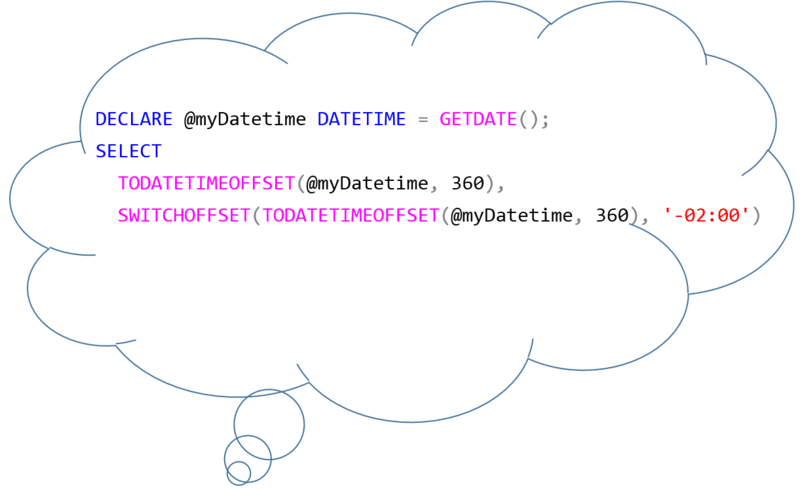 [MSDN]: Returns a datetimeoffset value that is translated from a datetime2 expression. This function is used with a different purpose than the previous one: we give it two parameters, a normal date (without an offset) and then an offset and it will concatenate the two parameters and provide us with the DATETIMEOFFSET value. We can use it when we want to data that is not offset-aware, for example when we have the normal datetimes in a column in a table and the offsets in a different column. Q: What is interesting about the DATETIMEOFFSET offset function?